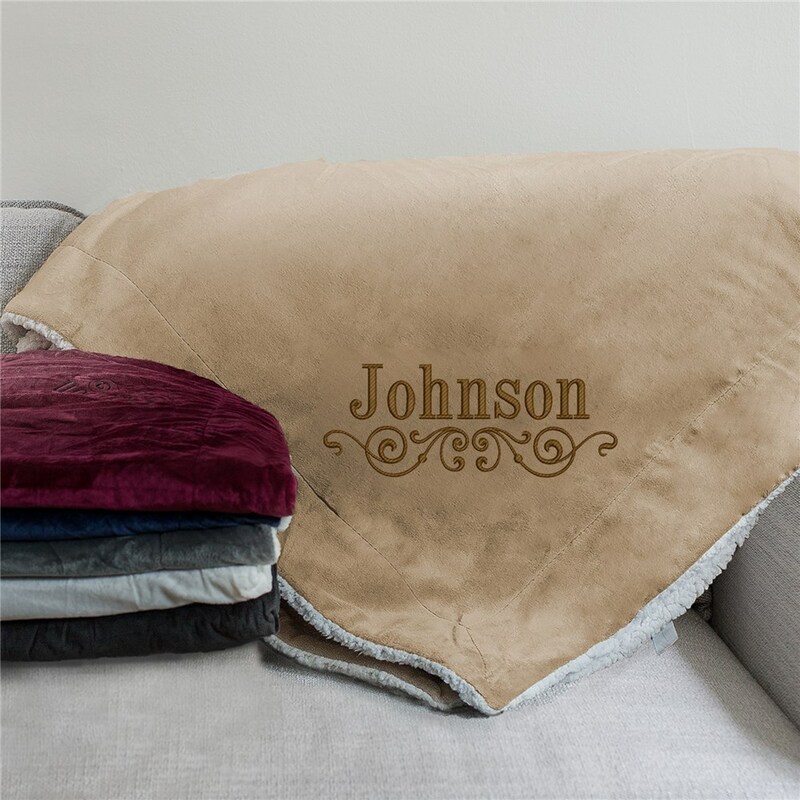 Personalized Blankets are sure to be a family favorite! Choose from 6 colors and we will custom embroider with any name and your choice of thread color. All Customized blankets come with free personalization and fast shipping! So cozy, they're sure to love it! This is a terrific product! The embroidery is excellent. I'm very comfortable with it wrapped around my shoulders. Great product. Keep up the good work. MAJ. I gave this as a gift.was very well received, looks beautiful. Not as thick as I had hoped but still good quality. The embroidery was nice.